Sigma 30mm f/2.8 DN A MFT mount lens review: Accessibly priced, compact and a good performer? 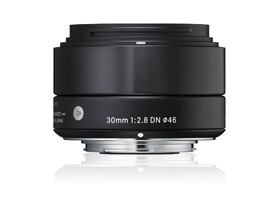 Although Sigma only introduced the DN range specifically for Sony E and MFT mirrorless cameras a short while ago, they’ve already redesigned the exterior of the lenses and integrated them into the firm’s new A series product line. The new, metaled exterior finishis more in keeping with the minimalistic design of Sony’s E-Series than either the Olympus or Panasonic models, but it’s well made and features a new linear AF motor for smoother, quieter focusing during video (and stills), and two glass molded aspherical elements (with one being a double sided asphere). The MFT mount model is the equivalent to a 60mm and has a minimum focusing distance of 30cm (11.8in), a maximum magnification ratio of 1:8.1, and comes in either a silver or black finish for $199. 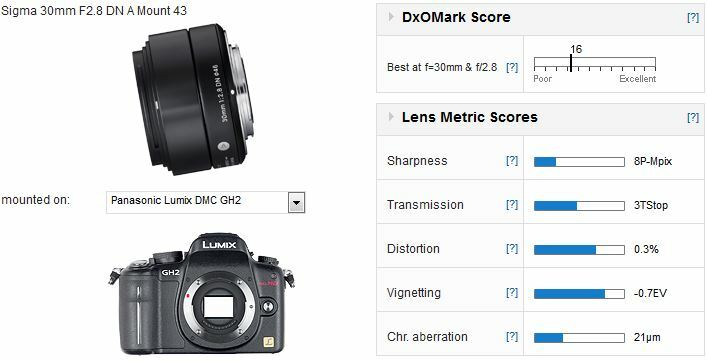 When mounted on the 16-Mpix Panasonic GH-2 the Sigma achieves a DxOMark Lens score of 16 points which is good but not exactly class leading as we’ve come to expect from A series lenses. Nevertheless, the 8P-Mpix score isn’t bad but sharpness is inconsistent across the frame fluctuating by as much 20-percent. Distortion and vignetting are low, but that’s expected of a lens like this. Where this lens is weak is in its control of chromatic aberration. Measured at 21µm, it’s unexpectedly high and visible at every aperture in the outer 50-percent of the image field. Comparing the Sigma with two highly regarded lenses with focal lengths just either side and at different ends of the pricing scale, we can get a good idea of where the 30mm lies in optical performance. 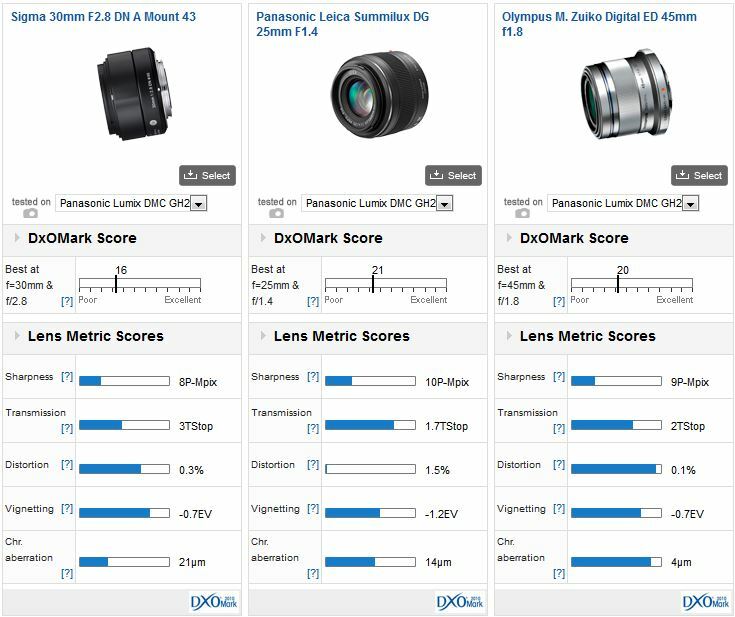 The disparity in DxOMark score can be credited to the slower maximum aperture of the Sigma, which takes increased noise levels into account. If we look at the individual use case scores instead, we can see Sigma isn’t far behind the 45mm in sharpness and it is at least sharp where it counts (in the center), distortion is quite low (much lower than the Leica 25mm) and it has low levels of vignetting. CA isn’t too much of an issue on the Leica but it is quite noticeable on the Sigma. Overall, the Sigma 30mm f/2.8 DN A isn’t in the same league as the firm’s first A series lens, the optically outstanding (but fairly pricey) full-frame 35mm f/1.4. In fact, it’s really only an average performer, but at $199, it’s sensitively priced and suitably complements some of the more affordable MFT camera models.